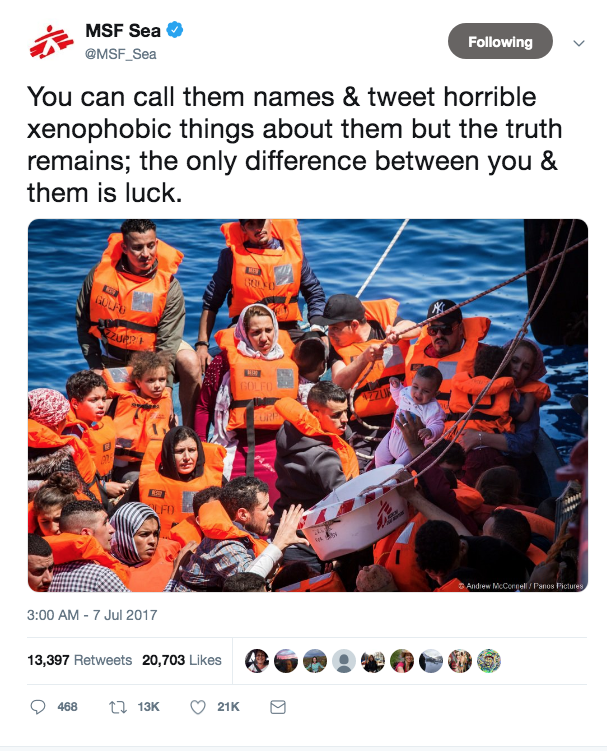 When Aylan Kurdi’s little boy body washed up on the shore in Turkey in September 2015, there was global outrage: countless headlines, protests, scores of tweets, public declarations and #refugeeswelcome. The reality is that “never again” has happened over and over and over again. In March 2016, the European Union (EU) and Turkey came to an agreement that would supposedly halt “irregular migration” from Turkey to the EU by making it illegal for people seeking refuge and asylum to leave the Greek is-lands before they had completed the requisite registration forms and fol-lowed asylum procedures. Under the agreement, anyone crossing to Greece from Turkey who does not qualify for asylum must be sent back, and for every refugee being returned to Turkey from the Greek islands, another will be resettled in the EU. This policy has created a deadly limbo on the Greek islands. The lengthy registration and processing means people are stuck in desperate conditions for months, often going without food, shelter and med-icine amid a steady flow of new arrivals. This March, a few days before the third “anniversary” of the Turkey-EU deal, a 9 year old girl’s body washed up on the Greek island Samos without her head. Another lifeless person floated not far from her; questions about whether he was this child’s father, uncle or big brother preoccupied the too few media outlets that reported this tragedy. The belief that the aptly named “death journeys” are only undertaken when the sea is calm, in the summer, is belied by the reality of multiple shipwrecks every winter leaving lost bodies behind in the cold waters and turning the Mediterranean into a graveyard. The criminalization of search and rescue activities - compounded by baseless accusations and aggressive smear campaigns - has impeded humanitarian aid and discouraged sea-vessel crews from fulfilling their duty of rescuing people from boats in distress in the Mediterranean. Over the past three years, Doctors Without Borders/Médecins Sans Frontières [MSF] has rescued and assisted more than 80,000 people in coordination with maritime authorities in the Mediterranean, and in full compliance with national and international laws. It’s April, T.S Eliot’s cruelest month, but the reality is that every month is the cruelest for those risking their lives to save their lives. More than 300 people have already died at sea since the beginning of the year. Last summer, I took a plane packed with tourists to Lesvos, Greece. At gate 14B, it was all sombreros and flip flops. Looking around as we boarded the flight, I remembered a haunting phrase: “The only difference between you and them is luck.” This sentence was tweeted by @MSF_Sea captioning a photo of men, women and children in orange life-vests being plucked safely from the water onto our rescue vessel. I often remind myself since: The only difference between me and them is luck. No amount of briefings or pre-visit reading could have prepared me for Moria camp. Part shanty town, part open air prison, Moria held 10 thousand people when I was there, despite its official maximum capacity of two thousand. It is impossible to leave without possessing official papers removing the geographical restrictions that trap you on the island. My colleague and I walked around wearing the easily identifiable MSF white and red vests. Children were playing everywhere, and garbage was ubiquitous. In French, he explained he was Congolese, and that he left DRC because of widespread violence, armed conflict, the outbreak of disease and other health emergencies - all reasons we were already familiar with, as MSF has been providing urgent medical care in Congo since 1979. The man left us to stand in the long queue where meals are served. The “food station” reminded me of stables where horses belong; instead it was a place where human beings were clamoring for sustenance. While Moria shares some characteristics with camps and makeshift settlements I’ve seen before in Jordan, Lebanon, Turkey, the Somali region of Ethiopia, Afghanistan and Pakistan, it was singular in its composition of hope and deliberate suffering. Most of its reluctant inhabitants arrived with nothing in their hands, expecting to move on swiftly, but policy changes have forcibly grounded them on the idyllic island. When a beautiful summer island morphs into a morbid refugee “hotspot,” nothing is what it seems anymore. I watched a family of Afghans set up a temporary home in an area informally named “The Olive Grove,” where Moria has begun to spill over onto private land. I partly understood why the local community may not have welcomed this development, but at the same time, winter was coming and the camp was at full capacity. Plastic sheeting held together by branches and rocks was the only available shelter. Today in Greece, a year since my visit, more than 12 thousand refugees – men, women and children – continue to live in overcrowded, unsafe and humiliating conditions with little access to basic medical services, resulting in a marked deterioration of their health and well-being. 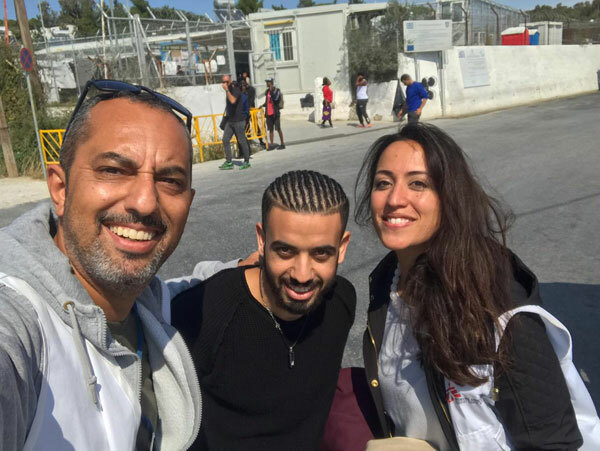 In August 2014, I met a young Syrian-Palestinian couple after their failed attempted sea-crossing. I will never forget the combination of fear and hope in their eyes. I found out that they had tried three times. The fourth time, I learned later, she survived and he drowned in a shipwreck near Malta. The notion that robbing people of their dignity and health on the Greek islands would actually deter others from trying to come – what this degradation is, at least in part, really about – is not only dangerous, it’s ridiculous when seen through the eyes of the pregnant mother on the boat, a father leaving behind war and conflict looking for a better future for his family, or a young man forced to leave home because he has the wrong skin color or religion. So far this year, according to UNHCR, just over 5,100 people have already arrived in Greece from Turkey, either via the sea to the Greek Islands or through the land border crossing at Evros. More than half [60 percent] are women and children. I’m thinking of my visit to Moria and writing this now from Lebanon, where one out of every four people is a refugee from Syria. MSF teams work all over the country here, from South to North, providing the most vulnerable with treatment for acute and chronic diseases, reproductive services and mental health care. More than 1.5 million Syrians have fled to Lebanon since the conflict began in 2011, making Lebanon and Jordan the countries hosting the largest proportion of refugees in the world. Looking ahead, the only thing that is certain seems to be even more uncertainty facing people seeking refuge and asylum. Whether they are waiting in transit, on the move, in formal camps or makeshift settlements, people must have access to essential medical services. Protection for the most vulnerable - especially unaccompanied children and families - needs to be ensured. In a world that criminalizes solidarity at the same time as it breeds refugee fatigue and rising xenophobia, support and empathy is a radical action and it must be yours. Jehan Bseiso is a writer and currently the Executive Director of MSF Lebanon.She joined MSF in 2008 and has worked in Afghanistan, Pakistan, Iraq, Ethiopia, Jordan and others. Bseiso is also a poet, read her work here. 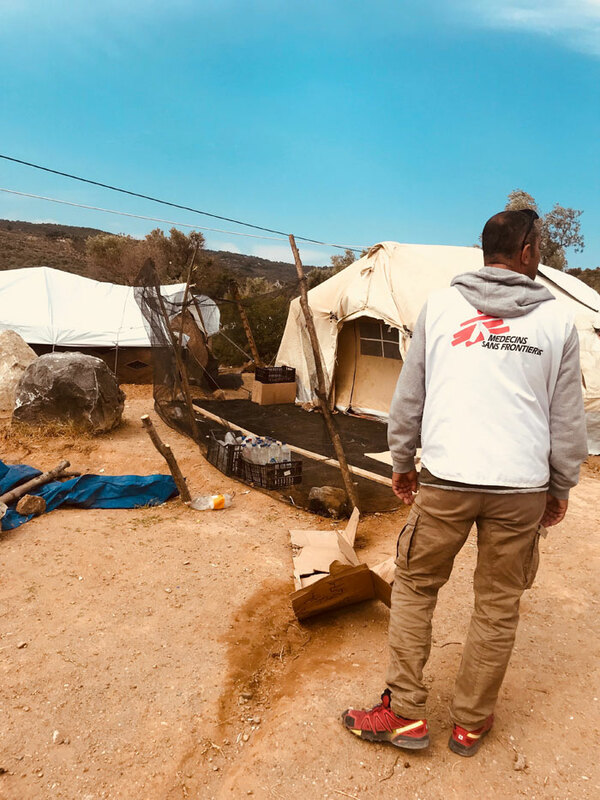 *Since 2016, MSF medical teams in Greece have offered services including primary health care, treatment for chronic diseases, sexual and reproductive healthcare, physiotherapy, individual and group/family clinical psychological care, as well as psychiatric care, along with a comprehensive social support package. Today, MSF provides services in downtown Athens, as well as on the islands of Lesvos, Chios and Samos.